Third World Countries: K-12 TLC. The Aristide Foundation for Democracy. The Center for Latin American & Caribbean Studies, University of Connecticut. Center for Latin American Studies. 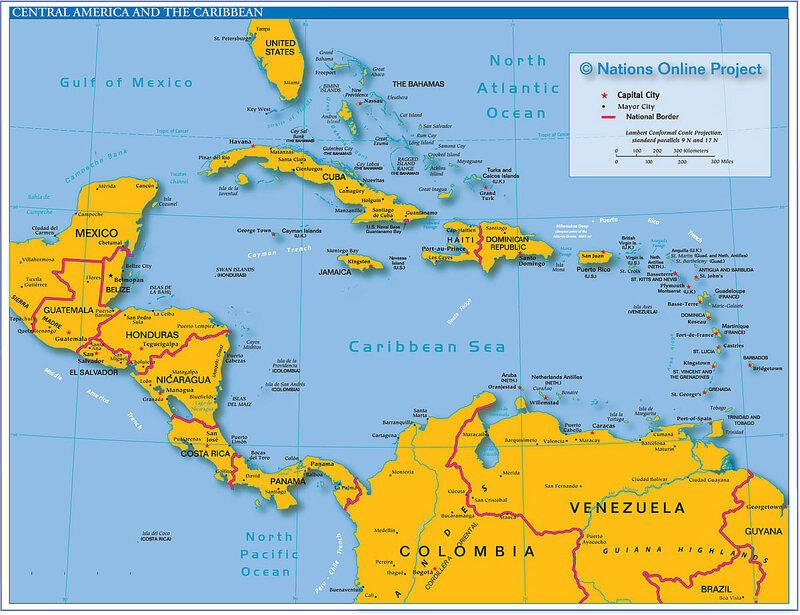 Hurricanes In Central America and the Caribbean, U.S. Agency for International Development. Indigenous People of Latin America, University of Texas. Latin America and the Caribbean, The World Bank. Latin America in World War I, Trenches on the Web An Internet History of The Great War. Paranda: Africa in Central America: 9/27/00 (3:00). Nuclear Reactors in Cuba, International Nuclear Safety Center. Puenta, Tito: K-12 TLC Guide. World Literatures, Fu Jen Catholic University. 01/12/2010 Haiti: K-12 TLC Guide. Latin American Indepenedence: K-12 TLC Guide. Latin American Music: K-12 TLC Guide. Cuban Music: K-12 TLC Guide. Music of Puerto Rico: K-12 TLC Guide. Caribbean Music Resources: Select Bibliographies, Wesleyan University. Son Nica: K-12 TLC Guide. African Influenced Music in Central America, North Carolina State University. Central American Music News, Music Industry Today. Costa Rica Vibrates with the Central American Music Festival, Global Voices. Native American Music of Mexico and Central America, Britannica. Latin American Civilizations: K-12 TLC Guide. Prehistory of the Caribbean Culture Area. University of California, Santa Cruz (pdf). Barrow, Errol (b. Jan 21, 1920 - Jun 1, 1987). Trinidad and Tobago Web Directory. 11/30/1966: Barbados Gains Independence from England. 10/20/1983: Prime Minister, Maurice Bishop Is Assassinated, BBC. Hamilton, Alexander: K-12 TLC Guide. St. Vincent, Deacon of Saragossa: K-12 TLC Guide. K-12 TLC Guide to Aztecs, Incas and Mayas. Joint Jerome School District, ID. Guatemala Lessons, The Odyssey, World Trek for Education.